Miss World Organization Chairwoman Julia Morley with Miss World Philippines National Director Arnold Vegafria and the Miss World Philippines Queens, Miss World Philippines 2012 Queenie Rehman, Miss World Philippines 2014 Valerie Weigmann, Miss World 2011 1st Princess Gwendoline Ruais, Miss World 2013 Megan Young, Miss World Philippines 2016 Catriona Gray and Miss World Philippines 2015 Hillarie Parungao. 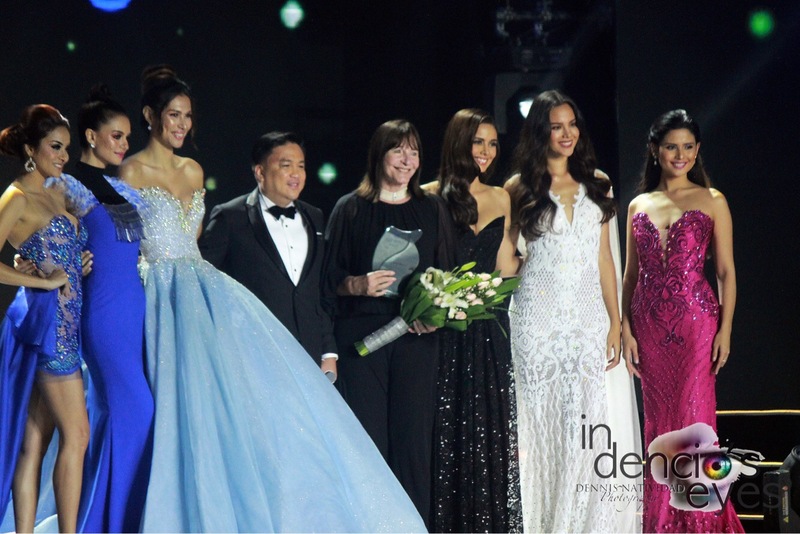 Miss World 2013 Megan Young with Miss World Philippines Queens,Gwendoline Ruais, Miss World 2011 1st Princess, Queenie Rehman, Miss World 2012 Top 15 Semi Finalists, Hillarie Parungao, Miss World 2015 Top 11 Semi Finalists and Catriona Gray, Miss World 2016 3rd Princess during the Miss World Philippines Media Conference held at the New World Makati Hotel. Miss World Philippines Franchise Owner and National Director Arnold Vegafria and Miss World Philippines Queens, Miss World Philippines 2012 Queenie Rehman, Miss World Philippines 2015 Hillarie Parungao, Miss World 2013 Megan Young, Miss World 2011 1st Princess Gwendoline Ruais and Miss World 216 3rd Princess Catriona Gray. 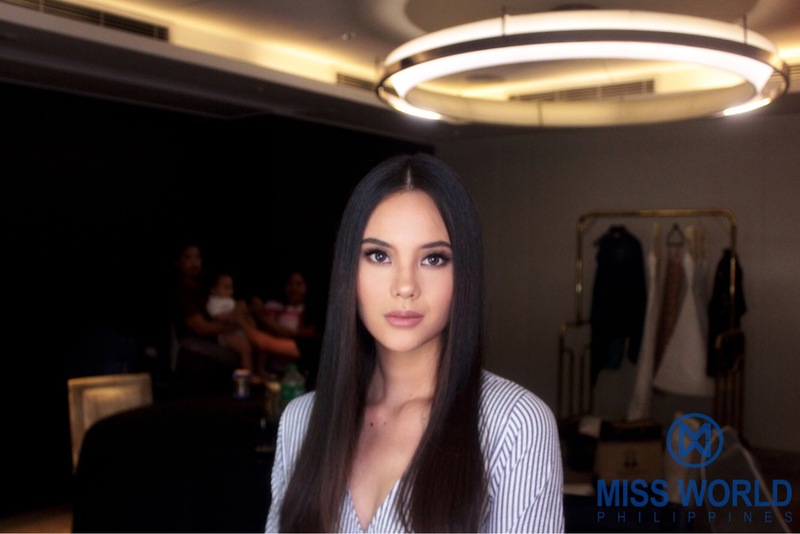 Miss World 2016 3rd Princess Catriona Gray getting ready for Miss World Philippines Media Conference at New World Makati Hotel. 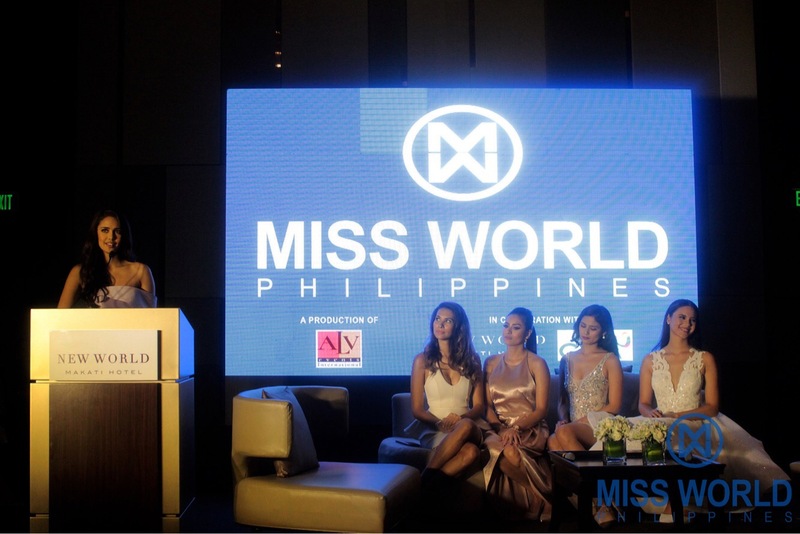 Miss World Philippines 2016 Catriona Elisa Magnayon Gray during her send off for Miss World 2016 Pageant on December 18, 2016 at Gaylord National Resort and Convention Center in National Harbor, Maryland, USA. Mr. World 2016 Rohit Khanderwal and Miss World Philippines 2016 Catriona Gray visit at the Beauty with a Purpose Ward of Philippine General Hospital. Paraiso Benefit Concert of Catriona Gray with a special performance of Christian Bautista, Aljur Abrenica and Jason Dy. This fund raising concert aims to purchase and renovate a new building for childcare and preschool of Young Focus, a non-government organization based in the Smokey Mountain are of Manila and strives to give underprivileged children and young people the chance to develop themselves by means of education and personal coaching.